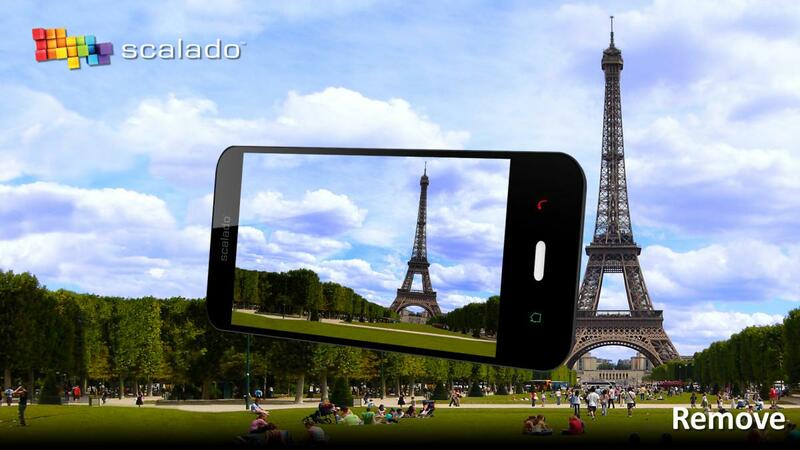 A first-of-its-kind application set to be shown off at Mobile World Congress called Remove, from Scalado, can quite amazingly remove said people from your shots. The technology behind this is pretty amazing, yet at the same time sounds so simple. By watching the moving, live objects in the frame, the app can interpret a 'clean' version of the image. Once you have the initial image, simply highlight the pieces you want to remove, and voila! The Android version is said to be coming soon, but will be exhibited in all its glory for the first time in Barcelona. Interested? Hit the break for a quick promo video from the developers.